Based on reviews from 6,353 users. Learn how our rankings work or see our guide to Nike Roshe sneakers. Updated Apr 2019. When it comes to fashion, a game of taste rolls into play. Shoes of every variety come out on almost a weekly basis and the competition to win the hearts of sneakerheads gets harder and harder with every release. Nike has been trying to keep up with the game, hitting highs and perhaps some lows with some of its releases. It hasn’t stopped the brand from becoming one of the most common sneaker brands in the world though. From one collection to another, Nike hits it out of the ballpark each time, making sure to cause a stir in the sneaker market while at it. One collection that has done just that is the Nike Roshe. Nike Roshe sneakers have been making waves in the industry ever since its release just because it’s a shoe that is both elegant and simple. Along with that, it has edged its way to the top of Nike’s most fashion-centric shoe on the list. Also, one doesn’t have to break their bank account to get a pair. Bonus points go to being one of the most comfortable shoes out there, too. When the Nike Roshe One, then called the Nike Roshe Run, was released back in 2012, there was almost no publicity or promotional campaign for it at all. No announcements, no press releases, no videos or flashy short films, this pair of shoes didn’t even have a celebrity endorsement. With its design and simplicity, Nike let the shoes speak for itself. Six years later and the growth of the collection has not stopped. In fact, a wide variety of Nike Roshe shoes have been steadily coming out. The shoes under this collection have been released in a variety of colors through the years. Colors like purple, beige, gold, green, black, yellow, white, blue, orange, and silver have only made these lifestyle shoes more interesting and sought after by the sneaker world. Here are some of the sneakers from the Nike Roshe shoe collection that you should check out. Take note though that some of these variations still hold the old name of the Nike Roshe Run as some of it were released before the name change of the original, with newer versions carrying the updated name. It is a low-top sneaker. The Nike Roshe One is minimalistic in design. The low-top has a variety of colorways. It is a unisex pair of shoes that come in both women’s and men’s size. For superior breathability, the Nike Roshe One SE has a full-mesh upper. The shoe’s midsole is made of full-length Phylon. The tongue and collar are cushioned. This gives better support and comfort to the ankle area. Ortholite sockliners can be found on the Nike Roshe One SE. The shoe’s lightweight sole adds comfort with every step. Sufficient padding in the ankle area and the ankle collar provides superior support. The Nike Swoosh logo is evident on both sides of the shoe. The upper is made of mesh and has a slew of prints for wearers to choose from. A heel pull tab can be found on the shoe. The Nike Roshe One Print comes with rope laces. A padded collar provides cushioning around the ankle. This iteration of the Nike Roshe One adopts a suede upper. The Phylon midsole has speckled details on it. A perforated Nike Swoosh adds to the charm of the Nike WMNS Roshe Run Suede. A colored inner lining is also evident on the shoe. The Nike Roshe Run Hyperfuse has a seamless upper made of lightweight mesh and synthetic suede. A full-length Phylon midsole with a Solarsoft sockliner gives the wearer comfort. The outsole is made of EVA and features a waffle pattern. As one, all the Nike tech provides comfort and excellent performance for everyday wear. The sneakers upper is crafted from knit jacquard material while still maintaining to be light and breathable. It comes in a whole lot of prints, designs, and colorways. Solarsoft sockliners are added for excellent cushioning and maximum comfort. Cushioned collars give the ankles ample support when wearing the shoes. The upper consists of neoprene and Flyknit. It features an updated triple density foam midsole for better comfort. The Nike Roshe Two has a sock-like bootie construction. A padded collar has been added for additional cushioning. 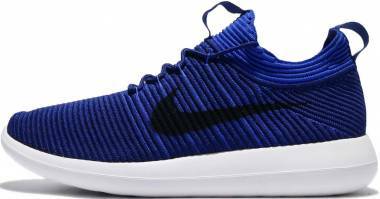 The Nike Roshe Two SE has a mix of woven materials and flexible textile making up the upper. A 3 density foam molded sole for a soft cushioning can be found with this pair. Ankle cushioning is elevated with the plush padded collar. Pull tabs on the heel and tongue help for comfortable wearing. Grooves on the outsole enhance the flexibility of the shoe. It features a bootie construction. A sock-like collar can be found on the shoe and makes for a comfortable slip-on feature. It is slightly pricier than the other shoes in the Nike Roshe sneakers collection. It has a triple-density cushioning for proper support and superior softness. The Nike Roshe Two Flyknit V2 features the Flywire eyelets for an adaptive fit. The Nike Roshe Flyknit 365 has a Flyknit constructed upper. Its upper has been treated with a water-repellent coating, keeping the feet dry and warm. A diamond pattern was also used on the shoes for an overall winterized effect. A Phylon midsole on the shoe offers lightweight cushioning. For durable traction, the low-top has a rubber outsole. The upper is made of an even more breathable material. A perforated tongue gives the Nike Roshe Two BR a fresh and airy design. It has a one-piece bootie design. Imprinted on the shoe is A debossed Swoosh logo. The upper is crafted with premium leather. Its three foam density midsole allows for comfortable cushioning. The NikeLab Rose Two Leather Premium low-top has a sock-like fit to it with its neoprene sleeve construction. It also has a waffle-pattern outsole for better traction. Slow-recovery foam liner outfits the shoe. The Nike Roshe LD-1000 has a mesh upper. The suede overlay is dominant on the sneaker. A vintage foam tongue gives it a touch of class. The sneaker also has the “Fat Belly” Swoosh. The upper is made of closed mesh and synthetic leather. The Swoosh logos and heel tabs are also made of leather. With a rubber waffle pattern, the outsole provides excellent grip and traction. The shoes upper is made of lightweight nylon and suede. A full-length Phylon sole adds to the durability and comfort of the shoe. Embroidered Swoosh logos cap off the classic retro feel. The outsole has a textured waffle sidewall wrap reminiscent of the original Nike Waffle Racer. The Nike Roshe Run Woven is a low-top sneaker. It utilizes a combination of premium suede and weaves for the upper. The lacing system is simplistic and straightforward. The versatility in aesthetics makes it easy to pair with almost any outfit. The upper has Dynamic Flywire integrated into it. The upper is also composed of a mesh-like material. Roped pull-tabs can be found on the heel and tongue. Lightly colored laces add to the dynamic re-up of the shoes. Allows new graphics for the Roshe One. Personalization is possible with personal iD wherein you can add your name, a message, or even numbers to the heel. The Nike Roshe One Essential iD has a full mesh upper. For comfort around the ankle, the sneaker has a cushioned collar. It also has Solarsoft sockliners for that premium comfort. Since this variation of the Nike Roshe One allows for customization, personal preference comes into play. The Nike Roshe Run FB has a mesh-based build for soft impact protection and ventilation. Its mesh upper works with textured overlays. A traditional Phylon sole can still be seen on the Nike Roshe Run FB. All in all, the Nike Roshe Run FB’s build is made to be lightweight. The Nike Roshe Run MID has nylon mesh upper. Fabric material is used on the middle panels. Leather and mesh detailing are evident on the shoe. The toe area has an appealing stitched design. This mid-top sneaker is leveled for ankle support and variety. The upper consists of geometric synthetic paneling. A tonal Swoosh logo can be found on the sides. Rolled laces give the Nike Roshe Run Metric a polished look. The construction of the shoe makes it lightweight. The shoe has a full mesh upper. There is extra ventilation on the forefoot and heel. For responsive cushioning, one can find a Phylon midsole on the shoe. The EVA foam outsole is ultra-lightweight and has waffle treads. The GourmetKickz x Nike Roshe Run “Black Mamba” sports a Kill Bill themed color with the yellow base and blood-spattered design adding depth to the upper. It is a shoe of pure artistic creation worthy of being part of the Nike Roshe sneakers collection. The Boxtrolls is a movie about an eccentric family of creatures living beneath the streets. With the colors on this collaboration, the sneaker looks like it has been gift wrapped straight from the Boxtrolls themselves, and nicely rounds up the Nike Roshe sneakers collection and the Nike Roshe sneaker collaborations list. Kanatani surely doesn’t hold back with her “Midnight Craftwork,” a pair of Nike Roshe sneakers that is vivid and eclectic. It is one of the faves in the Nike Roshe sneakers collaboration front, the purple hue egging sneakerheads on to getting a pair of it. This simple collaboration of a shoe between Size? and Nike shows us how simple things are sometimes all we need. Extra detailing was put into the midsole and Swoosh logo though to emphasize the safari and speckled print. This pair has two different styles to it with paisley and floral patterns taking centerstage. Simple yet stunning, this collaboration shoe is perfect for the ladies and adds depth to the existing collection of the Nike Roshe sneakers line. Having had a previous collaboration, Size? returns once more to add to the Nike Roshe sneakers another stellar collaboration shoe. The Size? x Nike Roshe Run “Cement” Pack is impressive enough to have had a good amount of people clamoring to get a pair. Nike began in 1964 and was known as Blue Ribbon Sports, founded by Phil Knight and Bill Bowerman. It was a distributor for Onitsuka Tiger. When did the name change from Blue Ribbon Sports to Nike happen? In 1971 when both Knight and Bowerman decided to part ways with Onitsuka Tiger. The two created their line of sneakers and officially called it Nike. What catapulted the Nike Roshe shoes to popularity? Many attest to the comfort of the Nike Roshe sneakers as being the comfiest shoes they have ever worn at the time of its release. The variations in the different Nike Roshe sneakers have also contributed to its popularity. What is the price range of Nike Roshe sneakers? Depending on the iteration that one gets from the Nike Roshe sneakers, the prices vary. 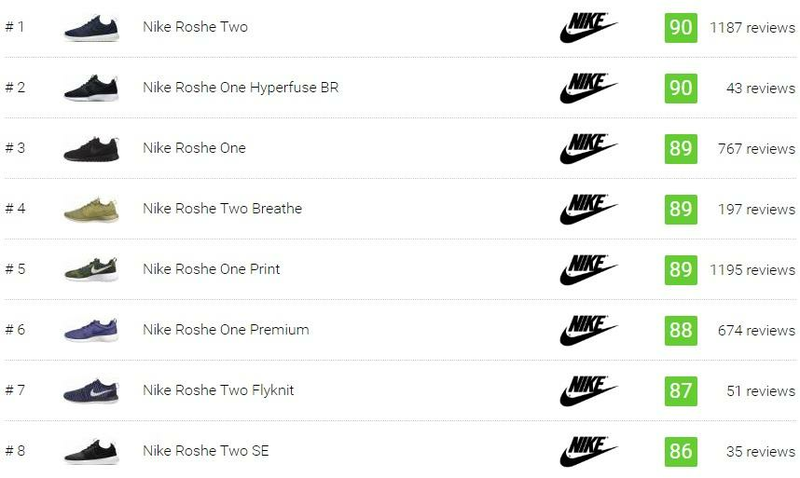 A pair of Nike Roshe One will set one at $75 while the more premium iterations of the Nike Roshe sneakers can go for as high as $140. What is the size range of Nike Roshe lifestyle shoes? Nike Roshe sneakers are offered in men, women, and kids sizing. Most Nike Roshe sneakers have a size range of 5 to 12 US for women, while men have the choice of choosing from a size range of 6 to 18 US. Where can I buy Nike Roshe shoes? Nike Roshe sneakers have reached every corner of the world and are widely available. Most international Nike stores sell Nike Roshe sneakers. For those who are looking to be able to try the shoes that they choose in person, retail stores are the best bet to pay a visit. 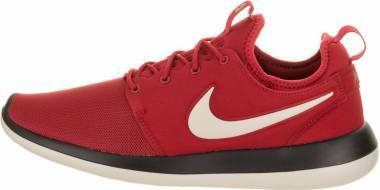 Online shopping is also a popular choice, and many online retailers, as well as sites, offer a wide variety of Nike Roshe sneakers up for grabs. Who is the person behind the Nike Roshe line? 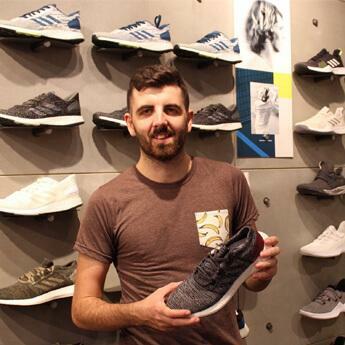 The designer behind the original Nike Roshe sneaker model is Dylan Raasch who began his career as a level 2 designer for Nike in 2009. He was relatively new to Nike at the time, but today, Raasch is the Nike Air Max Creative Director. When did the design process for the Nike Roshe sneakers begin? The design process for the Nike Roshe sneakers collection began in the fall of 2010. Raasch presented an idea that was a little too abstract at the time. Not one to give up, he decided to develop the design he had in mind during his free time. What brought about the need to come up with the Nike Roshe shoes? The idea that Raasch had in mind had no brief to it. Raasch was asked to come up with something that could still have quality at a price point that was significantly lower. There were zero limitations and Raasch had the perfect opportunity to come up with something fresh and new. What were the challenges that came up with the first Nike Roshe sneaker? The design was initially met with skepticism and Raasch had to work hard to prove that the idea he had in mind was worthy of being a global contender in the sneaker market. Another challenge was coming up with the shoes at the price point that Nike had asked for; about $70 to $75. When was the first model of the Nike Roshe sneakers collection released? The first model that came out was the Nike Roshe Run, and it was released in 2012, nearly two years after the initial idea of the silhouette came to Dylan Raasch. The Nike Roshe Run was later named the Nike Roshe One. What was the inspiration behind the Nike Roshe One? The inspiration for the shoe’s design came from Zen art. With Zen art being primarily all about being simple, Raasch incorporated this into the shoe well by adding only the essentials that the shoe’s construction needed. So what does the Nike Roshe One have that sets it apart from other Nike sneakers? The construction is made up of a pliable two-piece upper. The bottom of the outsoles had the Nike natural motion waffle print representing stepping stones in a Zen garden. The insoles mimic a freshly raked Zen garden. It has a minimal lacing system. It has a one-piece sole wherein the midsole and rubber bottom are combined. First colorway: the Nike Roshe One came in the iguana colorway which played with the natural color of dark green moss on off-white rocks in the garden.